Malcolm (Mac) Somerville was born in Saint John in 1921. A graduate of Saint John High School, Mac became involved in the community at a young age with the YMCA of Saint John, where he later became president and was recognized with the Red Triangle Award in 1995. He served nearly six years in the Reserves and on active service with the army during World War II. 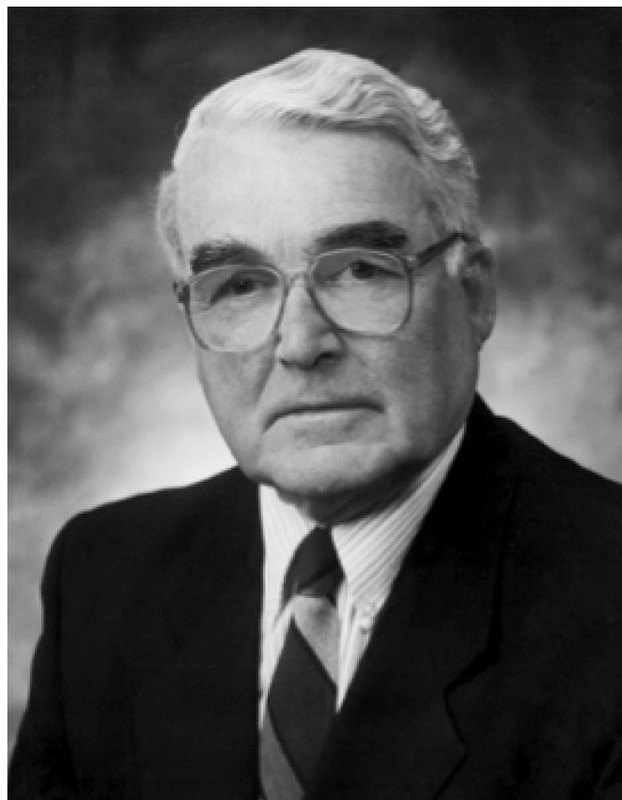 Following the war, he worked in the general insurance business, and was a strong advocate for the city of Saint John for many years, for which he was recognized as a Freeman of the City of Saint John in 1983. In 1995 he received the Board of Trade’s President’s Award. In 1996 he was awarded a Honourary Doctor of Letters Degree from the University of New Brunswick Saint John for his contribution to the Faculty of Business and for his recognition of the importance of a university presence in Saint John. In 2002 he received the Queen Elizabeth II 50th Jubilee Award, and in 2009, following 15 years on the Board of Directors, the Saint John Library Merit Award. Mac’s involvement in city planning and development, as well as business affairs include: Chairman of the Saint John Urban Renewal Commission, New Brunswick Chairman of the Community Planning Association of Canada, past member of the Canadian Housing Design Council and of The Saint John Planning Commission, President of the Saint John Board of Trade, President of the Saint John Central Business Development Corporation, Vice-Chair Bicentennial Committee, Co-Chair, Saint John Unity Committee and Chair, Mayor’s Task Force on Economic Development, and most recently the Saint John College Development Board. In his spare time, Mac enjoyed reading and sailing – He was past Commodore of the Royal Kennebecasis Yacht Club. Mac’s sister Aileen Smith and brother, Graeme Somerville, started The Dr. Malcolm M. Somerville Bursaries in Business Fund in his honour, which will benefit business students at UNBSJ.